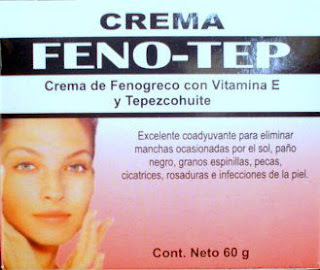 TEPEZCOHUITE SKIN CARE STORE: * TEPEZCOHUITE Cream Pimples Scars Freckles Skin Spots. * Best way to Lighten and Clear Dark Facial Age Spots, Freckles and Sunspots. * Benefical properties to both oily and dry skin. Is has an anti-inflammatory action and is a skin softener. * Fenugreek has been used topically for abscesses, boils, burns, eczema, gout, and ulceration of the skin as it has an anti-inflammatory effect. * The gelatinous texture of fenugreek seed may have some benefit for soothing skin that is irritated by Eczema or other conditions.